YMCA Riding Program Fall and Winter 2013-14 at Brek-n-Ridge Farm, Harbor Springs, Mi. That’s just what Karin has done through her new riding program with the YMCA, by making introductory riding lessons affordable for a wider range of families. 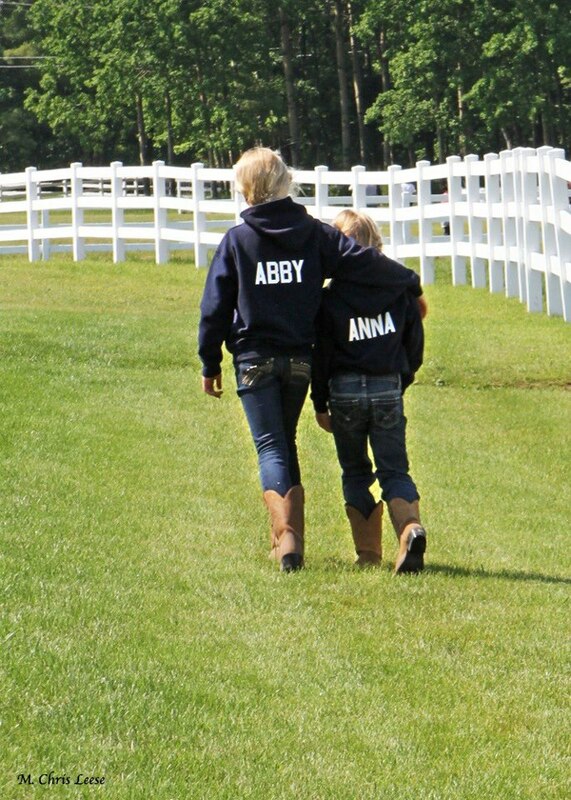 Abby, age nine at the time, and Anna signed up for eight lessons at a low cost. Karin made sure that the girls did more than just get onto a saddle and ride. They have also learned how to groom and care for horses with Kate Etherly. The girls have discovered confidence in their skill with St. Nicholas, the Welsh pony. Karin doesn’t talk down to the kids, but offers straightforward encouragement. “You must have been a horse in another life,” she says to Anna, who beams. 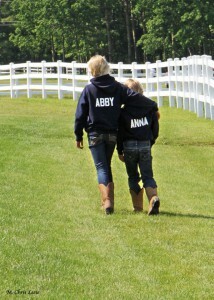 It doesn’t matter that the girls wear Western boots for English riding. Karin is looking for their aptitude and commitment. If they show promise, she wants them to continue. One of the ways will be through the United States Pony Club, a national leadership organization that has helped to expand and popularize horse riding. Participants learn about all aspects of horses at an individual pace and they expand their horse knowledge through teamwork and teaching others. Another family will start this week, and if Karin and Kate like what they see, a young man may have found a passion for a lifetime. You’ll begin with two private 45-minute lessons in which you’ll get to know your horses. These individual sessions are held prior to the group lessons by appointment and are included in the 6 lesson session cost. Then, with the instructor’s permission, you will be invited to join a group of other riders, in your age group. You will be introduced to the care of horses and horseback riding. Lessons will continue throughout the fall, winter and spring. Lesson times are arranged a week in advance and if inclement weather prohibits a scheduled lesson, make -up days are arranged. Two afternoon week day after school lessons are offered and Saturdays will be available for scheduling. No lessons on Sundays. Sign up now for Fall and Winter Program. First come basis. Limited enrollment. Visit Brek-n- Ridge Farm, 7359 S. Lake Shore Drive, next to the Birchwood Inn on M-119, just north of Harbor Springs. Assistance with school buses may be arranged and carpooling is encouraged. Payment plans accepted. The stable can be a wonderful leadership school. In our society, women and some boys are not always encouraged to participate, speak out, and be in charge. In the barn all those qualities are practiced on a daily basis, perfectly matched with compassion. There is no coincidence that many of the great business leaders in the world have an equestrian background. THIS YMCA RIDING PROGRAM FOR BOYS AND GIRLS IS BEING MADE AVAILABLE IN FALL, WINTER, AND SPRINGTIME TO LOCAL FAMILIES INTERESTED IN EXPANDING THEIR CHILDREN’S INTEREST IN ANIMALS, HORSES SPECIFICALLY. Brek-n-Ridge Farm asks that all participants become members of the YMCA. 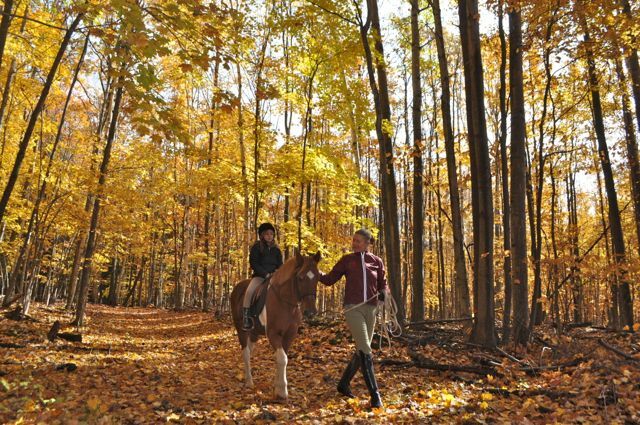 A special YMCA membership limited to the horseback riding program is $30 for one full year. A full membership ($65 for an individual, $100 for a family) provides a full year of discounts on ALL our programs. Continuation in the riding program is a privilege to be earned. Students who show aptitude and responsibility will be invited to continue at the instructor’s discretion. For more information about the YMCA please call 231-348-8393, or stop by our office, 434 E. Lake Street in Petoskey.